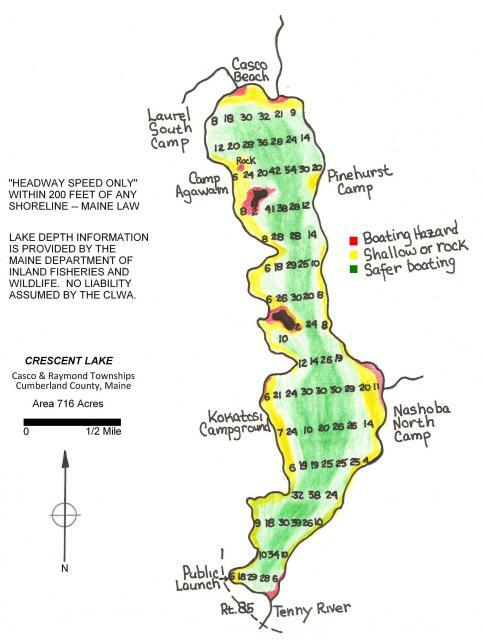 This map shows lake depth at various locations, provided by the Maine Department of Inland Fisheries and Wildlife. We have color-coded the map to show the safest boating areas. Please boat responsibly.